E-government is entering its second decade as a widely-embraced agenda for public sector reform. There are often distinctions made between e-government as administrative reform and e-governance as democratic reform, although there is invariable overlap between both spheres. 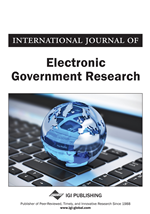 In this context, the purpose of this paper is to undertake an examination of the impacts of e-government on both administration and democracy in a multi-level governance environment. In doing so, we will provide a comparative assessment of two sub-national jurisdictions known for investing aggressively in e-government in recent years: Catalonia, Spain, and Ontario, Canada. This investigation will thus seek to identify the manner by which the pursuit of e-government by a state and a province is intertwined with – or separate from federalist structures.